Xiaomi seems to be in a hurry to capture Indian smartphone market. Earlier in June they had announced their arrival in India with a teaser website and Facebook page, then late in June, reports came in that they will be selling their devices exclusively on Flipkart and now today they have announced their first smartphone MI 3 in India for a price of Rs. 14,999/-. Xiaomi’s Mi 3 has been an super duper hit in the countries it was launched earlier. For example, in Singapore, first batch of Mi 3 was sold out in under 2 minutes, same was the case in Malaysia where it took about 17 minutes and a little more time in Philippines. And this trend is not only with Mi 3 smartphones, even their tablets have seen huge sales in minutes. The reason for such instant sales success is obvious – the devices offered by Xiaomi (or MI in India) are absolute value for money phones. Lets take example of Mi 3 itself. At Rs. 14,999 Mi 3 smartphones boast feature set of a Rs. 40,000 phone. 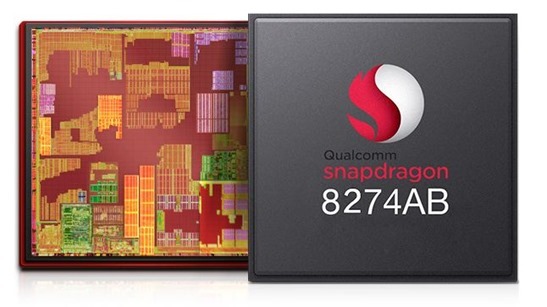 It is powered by high end Qualcomm Snapdragon 800 8274AB 2.3GHz processor and Adreno 330 450MHz GPU. The MI 3 also has 2GB RAM and a huge 3050mAh battery which has 25 hours of talk time and over 500 hours of standby time. Even on the display front, Mi 3 beats the best of the best. It has a 5 inch 1920×1080 IPS display with up to 441 pixel density which is currently carried only the top of the line phones. Even the camera is stunning 13 megapixel with dual-LED flash with its 5 element lens have f/2.2 aperture and 28mm wide angle lens. Apart from this Mi 3 has all the standard connectivity options (3G, 2G, WiFi, NFC, Bluetooth etc) and sensors (Gyroscope, Light sensor, Accelerometer, Proximity sensor, Electronic compass, Barometer) that you would expect from an high end phone. Another standout feature of Mi 3 is that it comes with customized Android OS experience in form of MIUI V5. Some experts term it as even better than a vanilla Android nexus experience. In short, at a price of a mid-range phone, Mi 3 is offering you an absolute top of the line phone. How Can You Get A Mi 3? So, you are sold on the phone and want to buy one, where do you get it. Let me tell you it is not an easy task to get your hands on this beauty. You will need to register for the sale first, and registrations will open from July 15. We are not sure about this registration process, simply because earlier the news had come that Xiaomi will be selling their phones exclusively through Flipkart. May be they will, but it will be available for users who have registered on their site first, so go ahead and register! Secondly, keep a eye on exact time when the MI 3 will start selling and be there at that time. If you are lucky, you will obviously be one of the luck Mi 3 owners. Heck, I am planning to do myself. I never thought I will move away from Nexus devices, however after looking at Xiaomi, I want to get my hands on it as well! How much is the internal memory?? However, I have some reservations about MIUI V5. I had installed a custom MIUI V5 ROM on my Nexus. Though the OS looked amazing initially, I got bored soon. Plus, most features of the ROM are strongly plugged into the Chinese ecosystem. So, don’t be surprised when you find skins and wallpapers and other things (MIUI has its own ‘marketplace’ app for these things) having Mandarin names and descriptions. Also, I remember some apps did not support the ROM ( – which may or may not be the case with a pre-installed MIUI on MI3). Overall, I found stock Android is the best experience one can get. Also, with apps like Xposed and its modules for rooted phones offer immense customization possibilities without installing any ROM! One thing which definitely pulls me towards the phone is the HW specs that come for just Rs. 15K! Ganesh – you make an interesting and valid point. I have personally not used the MIUI V5, so I am no expert on it. But in my view, the MI 3 phones they are selling here in India, may be customized for Indian subcontinent and may not have any Chinese stuff (it just does not make sense). The custome MIUI rom you must have installed may be chinese version and hence that issue. And your last sentence is absolutely right. The specs they are offering are absolutely great, and for the price it is one of the best VFM phones. Lets wait and see… ab Dilli door nahi. Whatever it is, I am going to pick up one, atleasy for review sake, I just hope that I am able to. If they get sold in couple of minutes as has been their record previously, it will be a tough job to get that as well. Unable to locate the registration page on the Xiomi site.